In Share Food, we believe in inspiring and sharing our knowledge of Asian cooking with everyone. 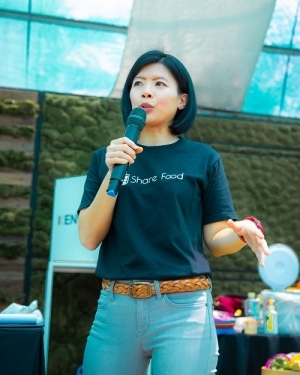 Share Food was founded by Ms. Loo Pei Wen, with the vision of creating an evoke content platform for all Asian food and the leading food media house in Asia. It is currently a leading Asian online recipe platform which showcases home cooks’ recipes from around the world. Share Food emphasize on quality food video content with it’s key focus on promoting home cooking. Besides that, Share Food also talks about the latest food trend, eateries in town and must have kitchen appliances to enhance your cooking experience. For the love of food and sharing, Share Food will continue to feature more exciting food contents and recipes and we will also require your help if you have anything interesting or exciting to share with us. You can write to us at connect@sharefood.sg or you can submit your heirloom recipes over here. Check out our most popular dishes!